As he mulls his next steps, PM reportedly tells associates that the coalition cannot continue functioning under the present conditions. “One cannot govern under the present situation”, Prime Minister Binyamin Netanyahu told his associates in recent days, according to a report Friday on Channel 2 News. Netanyahu has said, among other things, that Lapid’s 0% VAT law will “waste billions and will not truly change housing prices." He has also been quoted as not being happy with the budget, another point of contention between him and Lapid, saying that he does not want to allow Lapid to cut the defense budget and "paralyze the IDF". Furthermore, according to Channel 2, the Prime Minister accused the Finance Minister of trying to carry out a putsch with the hareidi parties and establish an alternative government in the current Knesset, together with the hareidim and with the Labor party. There have been recent speculations that Lapid was indeed planning such a move. "The way the government is functioning now, we cannot continue," added Netanyahu in these closed conversations. On Wednesday it was reported that Netanyahu, sensing that the coalition was headed towards a wall over the Jewish State Law, had offered hareidi parties Shas and United Torah Judaism (UTJ) a deal, according to which they will recommend that he form the next government, and he in turn will announce early elections. However, a top hareidi political source told Arutz Sheva on Thursday that there is no “deal” brewing right now between Netanyahu and hareidi parties. 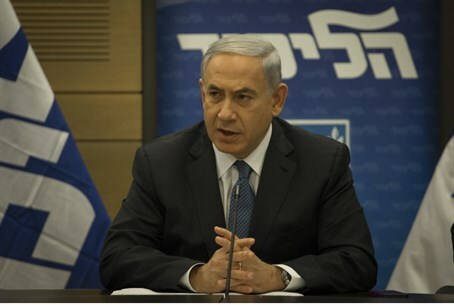 Another report on Thursday said that Netanyahu is considering calling early elections by passing a law dissolving the current Knesset. Netanyahu is reportedly waiting to hear from the hareidim whether they would cooperate with him and recommend him to form the next government, and their response will dictate what he does next.